According to the American Diabetes Association, more than 25% of US seniors have diabetes, and a whopping 50% have prediabetes. In seniors, diabetes is associated with higher mortality rates, higher risk of cardiovascular disease, reduced function, and decreased ability to live independently. However, it is possible to live a healthy life with diabetes. It is especially important to use a team approach in managing diabetes since the disease affects a variety of organ systems. 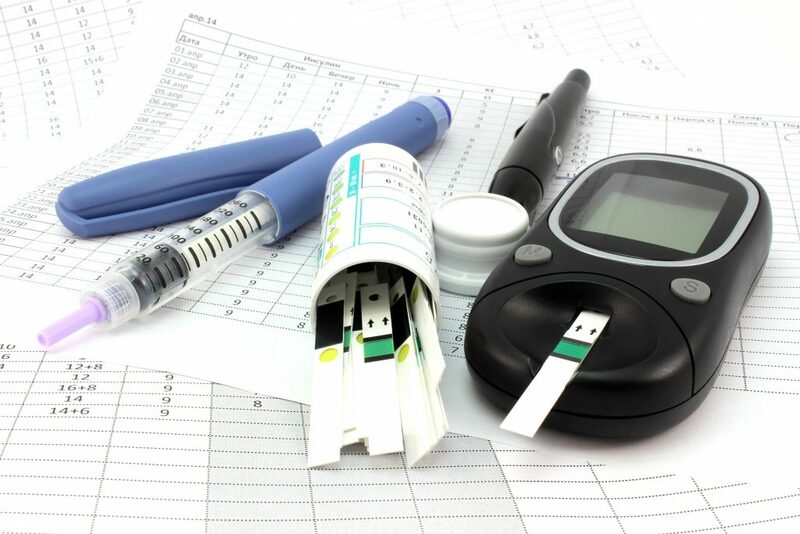 A diabetic healthcare team typically includes a primary care doctor, endocrinologist, dentist, ophthalmologist, and podiatrist. A cardiologist or other specialist may also be required, depending on the diabetic’s specific condition. The National Institute of Diabetes and Digestive and Kidney Diseases recommends diabetics see their healthcare providers at least twice a year in order to prevent small problems from becoming serious. The higher your blood sugar level, the greater your risk of complications from diabetes. It is crucial to keep your blood glucose level within the range specified by your healthcare provider. This will protect you, especially from microvascular disease, which affects small blood vessels such as those in the kidneys and the eyes, and neuropathy, nerve damage that most commonly affects the eyes and feet in diabetics. High blood pressure in diabetics is associated with increased risk of kidney damage. Aim to keep your blood pressure under 130/80. High blood pressure has no symptoms, so it is important to have your blood pressure measured regularly. Reducing your salt intake and losing weight can help you control your blood pressure. Your doctor can also prescribe blood pressure medication, if required. Diabetes increases the risk of heart disease; keeping cholesterol levels under control is an excellent prevention effort. HDL, healthy cholesterol, should be over 40 mg/dL. LDL, unhealthy cholesterol, should be under 100 mg/dL. Triglycerides should be under 150 mg/dL. Diabetics should have regular fasting blood tests to confirm their cholesterol levels are within range. Diabetes impairs circulation and healing, allowing even minor problems with the feet can turn into medical emergencies. A podiatrist is an important member of a diabetes healthcare team. In addition, diabetics should wash and check their feet every day, always wear socks and shoes, and have their feet checked at every medical exam. Diabetes is a serious disease, with major potential complications, but with proper care a diabetic can live a normal, healthy life.